The extension market for Joomla gallery components is pretty crowded. Because of this I decided to build another one ;-). Initially I wanted to present images for specific events. In addition people should be allowed to add comments to images. But requirement changed over time and more and more features where added while others remain unused. Just one word to the used terminology. 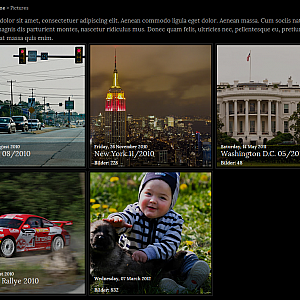 Because I wanted to display images for events, the used terms are chosen accordingly. Today an event is more a folder containing images. Maybe I'll change this in later versions but currently it is like that. 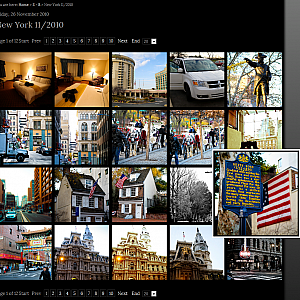 Image browsing starts with an overview page. It displays all published events you have. 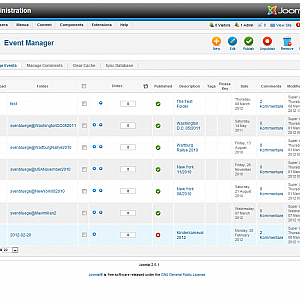 If you want to have multiple overview pages you can tag the events and use those tags to create different overview pages. There are multiple options for rendering an overview page. 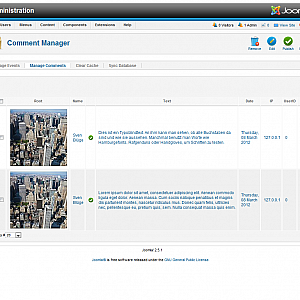 Everything is configurable using the Joomla menu item configuration so you can configure each overview page differently. The first event page I created was a pageable image list. 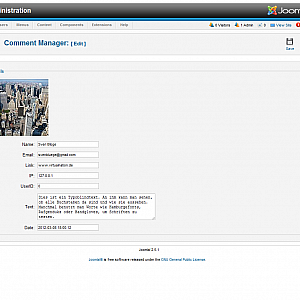 In this display mode you have a list of images with standard Joomla paging. From this list you can get to the single image page. 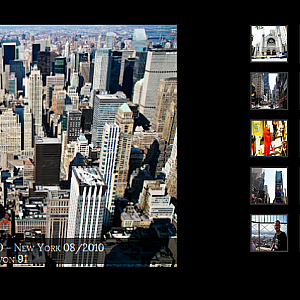 There you have some navigation elements and you can browse to the next/previous image using the arrow keys. Zooming an image using a kind of lightbox is possible too. 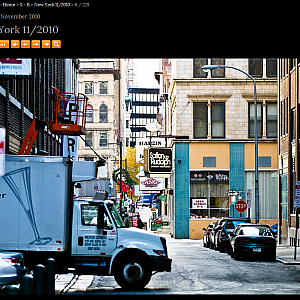 One unique feature of the pageable image list is the ability to add comments to images. 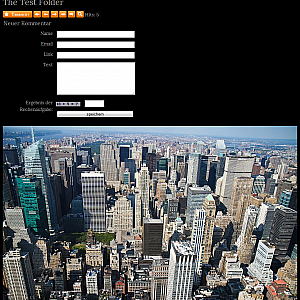 To prevent misuse of the commenting feature a simple captcha is included. That's it. Simple image browsing. If space is critical and you want to display images without the need for scrolling then the ajax image list is the right choice. You'll get the zoomable image on the one side and a small pageable list of thumbnails on the other side. Browsing using arrow keys is possible. 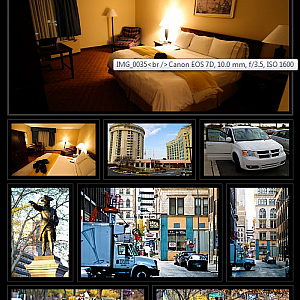 In addition you can browse through the images using the lightbox mode. Now we know how we can display images in the front end but what about image storage? Of cause we can store images on the local webserver. Image processing is included so we can render every needed thumbnail size. But you can include picasa albums too. This will decrease the amount of necessary storage on your webserver and you can easily integrate existing albums. It is possible to include public and private albums using your picasakey as authentication method. The back end is what you might expect. You can create/update/delete events. 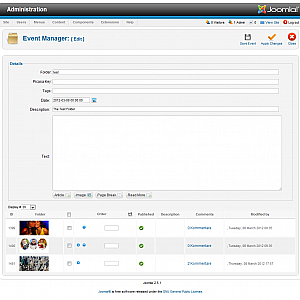 Uploading and sorting of images for an event is possible as well as managing comments. Basically there are three ways to get the images into the front end. 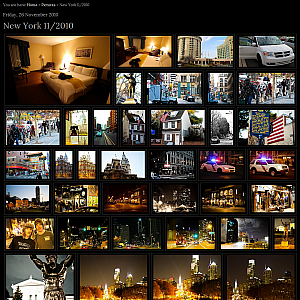 The first is by simple adding your existing picasa web albums. If you want to use locally stored images you can create a new event and upload the images using a flash uploader. 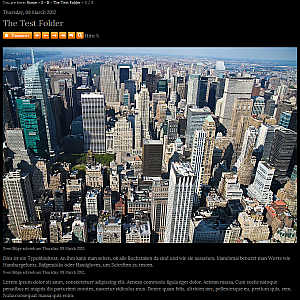 Finally you can upload your images using FTP and perform a database sync afterwards. That's it for the used gallery component. If you're interested in it just drop me a message.